Special Carbon Dial Table and Denysium Plate for Automotive application Special Carbon Dial Table with Reinforced Glass-Fiber edge for tool mounting. Carbon Dial Table and Tool hole mounting for filling application. 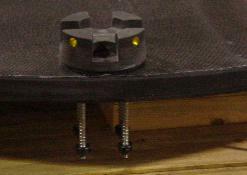 Composite tooling nest designed by Illstreet to support the customers product. 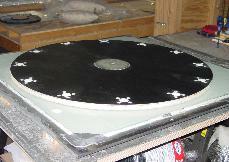 A 42" Diameter Carbon Dial Indexing Table with 12 stations. The tooling station nests are also composite. Edge view of the Carbon Dial Table. 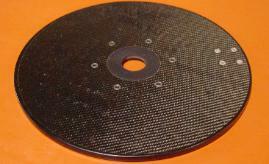 A 15lb Ribbed Carbon Fiber Dial Table, Coated with Polane. 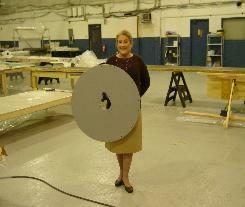 The dial table is a replacement for an existing aluminum dial table at a automotive clients facility. 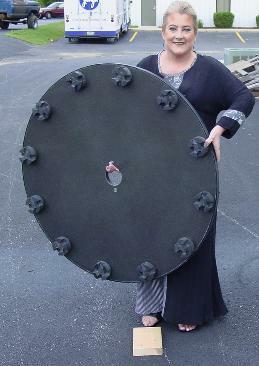 18 inch Diameter Carbon Dial Table Blanks. 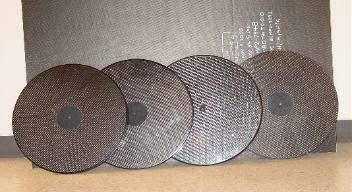 30in Carbon Dial table with composite tooling. 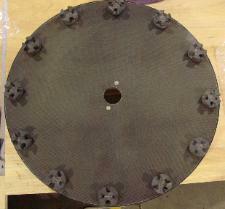 18 Inch Diameter Carbon Dial Table Drilled, and Inserted for Indexer Mounting. 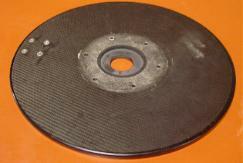 Dial Drilled and Inserted for standard tooling hole pattern, single station.